Ayurveda is the ancient Indian science of preventative health and healing. It employs elementally-based, balancing techniques that reestablish harmony to the body, mind and spirit. Ayurvedic therapies (like Pancha Karma) tend to be centered in either purification and cleansing, or nourishment and rejuvenation. Ayurvedic Massage and Bodywork I introduces the practitioner to both the history and traditional theory of Ayurveda as it applies to the field of Massage Therapy and teaches the student how to offer a complete Ayurvedic massage. After taking this course, students will be able to demonstrate Ayurvedic Warm Oil Massage techniques, performing both 2 and 4 handed massage treatment protocols. Students will also be able to list which oils are appropriate for clients using Ayurvedic aromatherapy theory and will be able to both demonstrate and perform Ayurvedic Facial Massage. In addition, students will also be able to explain and demonstrate Ayurvedic self care techniques in order to support longevity in the field of massage and to be able to effectively support clients in the process. 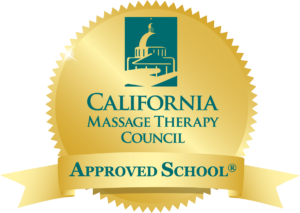 A certificate of achievement will be granted to each student who successfully passes the practical exam of demonstrating each modality taught in this course. Course Objectives Explain brief history of Ayurveda Describe Ayurvedic Dosha theory Explain what Ayurvedic oils are appropriate for each client List contraindications and benefits for Abhyanga: Ayurvedic Warm Oil Massage Perform Abhyanga: Ayurvedic Warm Oil Massage- 2 handed Perform Abhyanga: Ayurvedic Warm Oil Massage- 4 handed List contraindications and benefits of Ayurvedic Facial Massage Demonstrate Ayurvedic Facial Massage. Explain difference between Ayurvedic Massage and Swedish Massage.